Whether in the hockey or political arena, John F. Mulhern had an ability to look ahead and envision new possibilities. His talent as a center on the Boston College hockey team led to an invitation to play on the 1952 US Olympic team, where he won a silver medal. Later in life, he was one of the driving forces behind Kevin White's first mayoral bid in 1967. "When I played with him, I scored more goals and with little effort because he did all the work. He could see what was going on better than anybody," said John Slattery of Auburndale, Fla., a childhood friend who was also Mr. Mulhern's brother-in-law. "He was extremely intelligent, articulate, and a very good lawyer." Mr. Mulhern, a former Suffolk County prosecutor and legal adviser to White during his 16 years in office, died Wednesday of congestive heart failure at Youville Hospital in Quincy. He was 80. 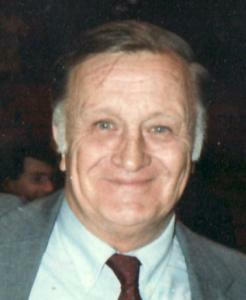 Mr. Mulhern was born in Dorchester in 1927, and raised in Jamaica Plain, the fourth of six children of a Boston attorney. His father, Joseph, shared his love for the law with his children. All four Mulhern brothers would follow in their father's footsteps, becoming attorneys. Mr. Mulhern first achieved success on neighborhood fields and school sports teams. During high school at St. Sebastian's School, he played hockey, baseball, and football. After graduating in 1946, he continued to play all three sports at Boston College, and was the starting center of the 1949 NCAA championship hockey team. He graduated in 1951 intending to enlist in the Army but was recruited by the US men's hockey team as it prepared for the 1952 Games in Oslo. The team forced the unbeaten Canadians to a tie in the championship match to take home the silver medal, an accomplishment Mr. Mulhern didn't speak much about until recently. "Later in life, I think he became more nostalgic about it," said his daughter Martha L., of South Boston. "He was very fond of all the relationships he made on the team." In 1956, Mr. Mulhern graduated from Suffolk University Law School, and became an attorney for the Boston and Maine Railroad. He married Marie Louise (Henry) in 1959, and the couple began raising a family in Sherborn. From 1961 to 1967 he worked as an assistant district attorney in Suffolk County, but left to teach criminal law as an adjunct professor at Harvard Law School during the 1967-68 academic year. It was in 1967, as Boston neared a mayoral election, that Mr. Mulhern and Kevin White's brother implored White, a childhood friend, to consider running for the position. The timing was right, they thought, and it presented a great political opportunity for White, Mr. Mulhern's daughter said. When White was elected, Mr. Mulhern was appointed commissioner of the Real Property Department, where he played a role in many redevelopment projects, including Rowes Wharf, Christopher Columbus Park, and the Government Center Garage during his 11 years in the position. He also served as White's legal adviser and was a partner in the Boston law firm, Mulhern and Mulhern, which he operated with his father and brothers Richard and Joseph Jr., his daughter said. After a two-year battle with cancer, Mr. Mulhern's wife, Marie, died in 1976, and he became a single parent to their five children, all between the ages of 9 and 16. In 1980, he became general counsel for the Boston Redevelopment Authority. He retired in 1996 and again immersed himself in sports, playing tennis and golf at the Woodland Golf Club in Auburndale. "He had a love for words," his daughter said. "He was a real character, with a gift for gab. Other than maybe being a hockey coach, law was the perfect career for him." In addition to his daughter, Mr. Mulhern leaves two daughters, Marie C. of South Boston and Joan M. of Washington; a son, John C. of Charlestown; two sisters, Dorothy M. Carroll of Osterville, and Joan M. Slattery of Auburndale; and a brother, Richard J. of Hollywood, Fla.
His son Robert A. died in 1993. A funeral Mass will be said at 10 a.m. tomorrow in St. Ignatius Church in Chestnut Hill. Burial will be in Holyhood Cemetery in Brookline.